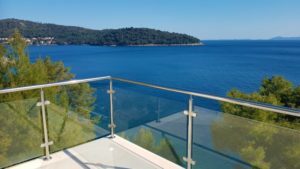 LuxuryCroatia.net has a lot luxury villas for rent in Croatia, on the islands and coastline of the Croatian Adriatic Sea. Most of luxury villas for rent are located on top tourist destinations such as Dubrovnik, Hvar, Korcula, Brac. Dubrovnik luxury villas for rent are located close to the old town walls and all what you need to see is walking distance. This Dubrovnik luxury villa has 6 bedrooms, beautiful pool with view of Dubrovnik and short walk to the gates of the old town. Few more luxury villas in Dubrovnik are on the seafront with pool and spectacular sea view and view of Dubrovnik. Top luxury villa in Dubrovnik on the seafront is large estate with private beach beneath villa and daily maid service. It is 5 star villa with pool and provide total privacy for guests. Guests of this luxury seafront villa in Dubrovnik are usually Arabian princes and celebrities from all over the world. Brac island luxury villas for rent are located on the seafront in Sumartin, Milna, Sutivan, Splitska and Bol. Our offer of Brac top luxury villas is large and villas are all with pool, mostly on the sea or with view to the sea, in quiet surrounding, some are close to the restaurants…. Korcula villas for rent are located in small bays, nested in greenery and quiet surrounding of pure nature. 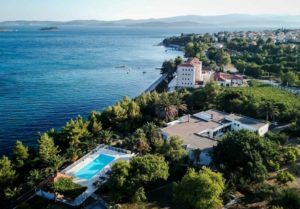 In our agency offer there are beachfront villas for rent on Korcula island, seafront luxury villas with pool for rent, Korcula modern luxury villas with pool and fantastic sea views. We are adding new luxury villas for rent in Croatia every day to our offer. Hvar villas for rent also welcome celebrities as Hvar town is known as high class party destination. In our agency offer we have top luxury villas for rent in Hvar town and surrounding. Hvar island is beautiful and green, with many small bays and pristine beaches nested in greenery and shade of pine trees, with crystal clear and clean sea water. In such locations we offer Hvar seafront villas for rent where guests have total privacy and relax. For villas in Split area we can organize yoga classes by Ananda Yoga Studio Split.